Riding a motorcycle is an exhilarating, yet dangerous, hobby. There are many safety precautions that a motorcycle rider must take in order to protect themselves when sharing the road with cars and trucks. Here’s what you need to know about motorcycle safety and what to do if you or a loved one are involved in a motorcycle accident. Under Georgia law, motorcycle operators are required to wear a helmet when riding. Helmets can prevent critical head injuries and even death in a motorcycle accident. Make sure your helmet is DOT approved, and never ride without it. Even minor motorcycle accidents can result in severe friction burns on the skin if the body is not properly protected. Thick riding clothes, like leather and jeans, are a great way to protect your body from the road in the event that you do get involved in an accident. Surprisingly, many people who ride a motorcycle are untrained. Understanding motorcycle safety is a critical component of riding and can help you avoid accidents and injury on the road. If you’ve never had formal instruction on how to operate a motorcycle, consider taking a motorcycle safety class. Even individuals who have ridden for years can learn a great deal from a formal educational class. Riding a motorcycle becomes that much more difficult when the road conditions are less than perfect. Avoid riding your motorcycle in bad weather or on icy or snowy roads. Avoid construction areas or areas with damaged pavement or debris. Like cars, motorcycles will need maintenance and repair from time to time. Keeping your motorcycle in excellent operating condition is one of the best ways you can actively prevent an accident from happening. Motorcycles with bald tires, fluid leaks, and damaged or worn-out brakes are much more likely to be involved in an accident than motorcycles that are in good riding condition. Being involved in a motorcycle accident is frightening and it can change your life forever. 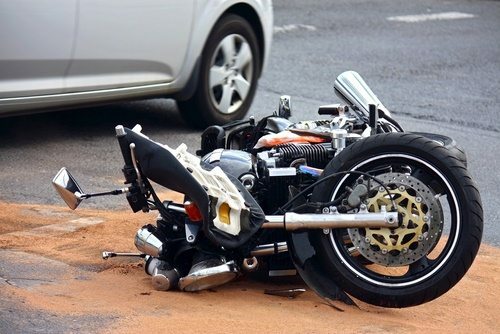 If the motorcycle accident was caused by the negligence of another driver or the manufacturer of the motorcycle or its parts, you may be able to bring a claim forward for compensation. At Appalachian Injury Law, we understand the challenges presented by motorcycle accidents, and our team is dedicated to providing each of our clients with zealous legal representation. Contact us today for a consultation to discuss your case by calling (706) 515-1995 or toll free at (800) 393-8595. We are available now to assist you.